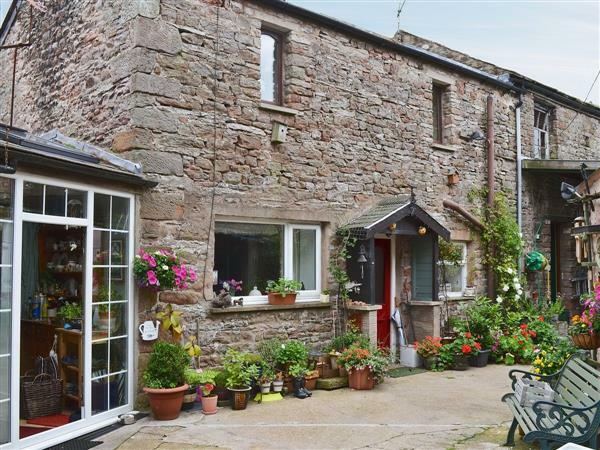 Bell Cottage in Winton, near Kirkby Stephen sleeps 4 people. Bell Cottage near Kirkby Stephen can be found on the village green in the attractive rural village of Winton; this traditional cottage, adjacent to the owners’ home, is located just 1½ miles from the small market town of Kirkby Stephen, at the head of the beautiful Eden Valley. This is an excellent touring base; the Yorkshire Dales is 11 miles away, Lake Ullswater is 25 miles and Teesdale and Weardale are within easy driving distance. Whichever way you turn, you will be delighted with the natural beauty that surrounds this unspoilt part of the country. The famous Carlisle to Settle railway is a journey not to be missed from Kirkby Stephen station. Fishing is available on the local association water on the River Eden and golf is available at Appleby, 10 miles. The owners live next door and will do their best to ensure you have a great time in Winton. Bell Cottage enjoys shared use of a large, very pretty cottage garden and summerhouse, along with barbeque facilities. There is a pub close by serving good food and a wide selection of beers. The shop, pub and restaurant are all 1½ miles from Bell Cottage near Kirkby Stephen. Ground floor: Living room. Dining room/kitchen. First floor: 2 bedrooms: 1 double, 1 bunk. Shower room with toilet. Wood burner in living room included. Economy 7 central heating, electricity, bed linen and towels included. High chair. Freeview TV. DVD. Electric cooker. Microwave. Laundry facilities and freezer available on request. Wi-Fi. Large, shared garden with patio, sitting-out area and furniture. Summerhouse. Barbecue. Parking (1 car). Cycle store. No smoking. Holidays at Bell Cottage run from Saturday to Saturday. Pets allowed at Bell Cottage. For a better idea of where Bell Cottage is, you can see Bell Cottage on the map below. Bell Cottage is in Cumbria; should you be on the lookout for a special offer, you can find all the special offers in Cumbria. It's always worth checking to see what is on offer at the moment. Do you want to holiday near Bell Cottage (W43808), you can see other cottages within 25 miles of Bell Cottage; have a look to find your perfect holiday location.